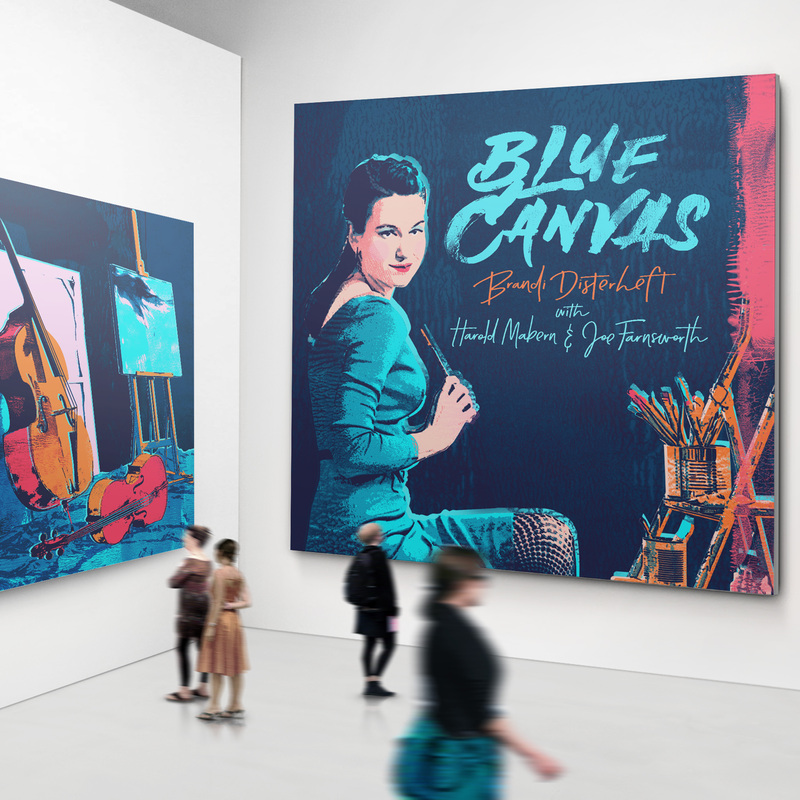 Justin Time Records is proud to announce the November 4th album release “Blue Canvas” from JUNO-award winner, Brandi Disterheft, who joins forces with hard bop veteran pianist Harold Mabern and drummer Joe Farnsworth. Canada’s prodigiously talented bassist handles her bass violin with as much visceral audacity as the great Charles Mingus once did, a fact that might raise the question of feminine power. Recorded in the summer of 2015 in Montreal after a successful engagement at the International Montréal Jazz Festival, “Blue Canvas” is an exploration of the Divine Madness. “When I was younger, lying under my mother’s piano while she transcribed Bill Evans, jazz was infinite: an endless discovery. I now reside in Harlem just blocks away from Duke Ellington’s residence, and I am constantly overcome with an unsettledness to unravel a joy that is drenched in swinging jazz,” says Brandi. On “Blue Canvas” Disterheft evokes Mabern, who at 80-years young is still tickling the ivories with soulful panache. Ever the gentlemen, he returns the favor thanks to his sensitive accompaniment to Brandi’s riveting solos, one of them a cappella “Prelude to Crippling Thrill”. On the following cut “Crippling Thrill”, and three other originals, Brandi elevates the game, singing self-­penned lyrics sustaining power with elegance and ease. What’s more, she marks her debut on cello in the latter piece, tipping her cap to the legendary Oscar Pettiford. Disterheft, who is a prolific composer, specifically wrote the originals of the album with the trio in mind. Between her original pieces and jazz classics like Bobby Timmons’ “Dis Here”, Tadd Dameron’s “Our Delight”, and rarely heard Clifford Brown’s “George’s Dilemma”, the music paints itself over a canvas of luminous colours. Mabern and Farnsworth breathe fiery dialogues into the bassist’s sinuous lines. Additional album highlights include an unusual rhapsodic treatment of Clifford Brown’s “Daahoud”, a decidedly fresh take on the standard “Willow Weep for Me”, and a fine romp over Mabern’s own “Beehive”.